Today, Ukrainians celebrate the day of workers of TV, radio and communications. The date should be traced back to November 16, 1924, when the first radio program went on air in Kharkiv, northeastern Ukraine. 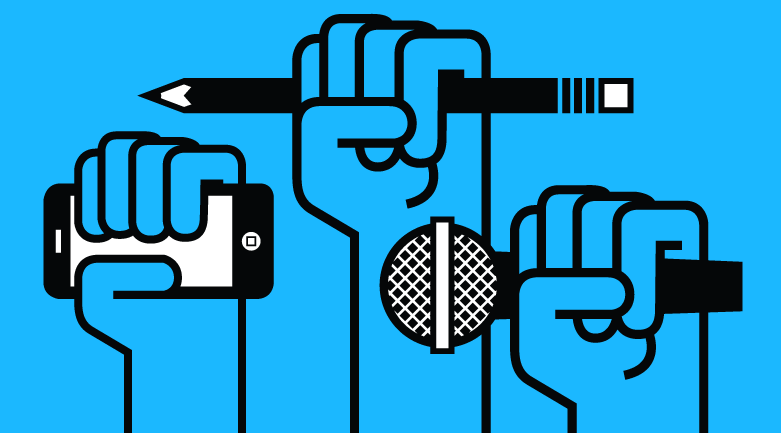 Since 1991, and especially now, when Ukraine is at information war with Russia, the role of media workers has been vital for the development of independent democratic society in this country. President Petro Poroshenko congratulated the media workers on their professional holiday. ‘Freedom of speech remains the milestone of democracy, while you, the reporters, cameramen, editors and technicians, are metaphorically the constructors of this building. I am deeply thankful for your important work, for the breeze of freedom which makes Ukraine different from other post-Soviet countries. You’ve been proving your loyalty to these principles and ideals through your professional activity and active civil stance during the ongoing hybrid war, which is waged on Ukraine by Russian occupants and terrorists,’ the President said as quoted by his press service.